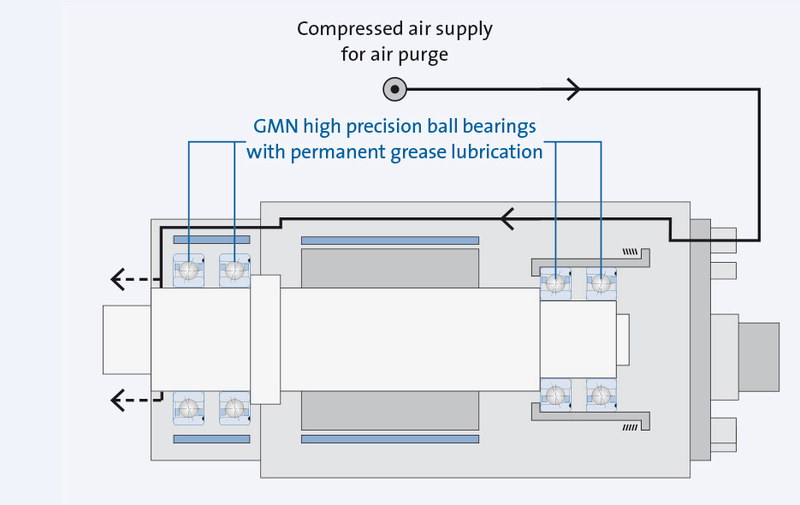 GMN grease-lubricated spindle bearings ensure reliable and maintenance-free operation over the bearings’ entire life. Oil-air- lubrication offers targeted lubrication to the bearing and is especially suitable for very high rotation speeds. 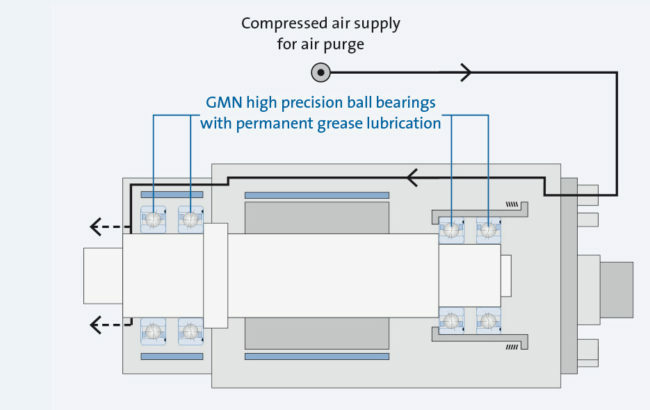 The high-performance greases selected by GMN for bearing lubrication are optimized for grease volume and quality for the lifetime of installed GMN ball bearings. No additional spindle lubrication is needed. Oil-air lubrication offers targeted lubrication to the bearing and is especially suitable for very high rotation speeds. 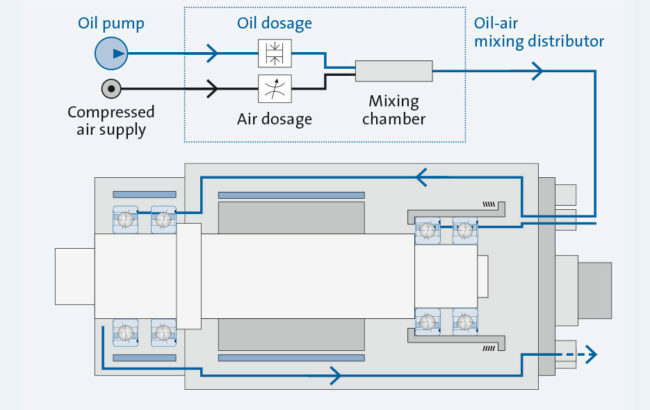 The lubricant is transported in intervals (cycle time), using a stream of air into a feed hose, and distributed at the necessary intervals evenly to the lubrication points. Continuous air supply from the ring gap between the shaft and housing seals the working side of the spindle against contamination from grinding parts and liquids, and also ensures long bearing life even in rough operating conditions. GMN standard series grease-lubricated spindles are equipped with a barrier air seal. GMN spindles with oil-air lubrication are available as an option with an air-tight seal. You can find information about GMN lubricating units for concomitant as well as separately controlled oil supply for up to two spindles in the “Accessories” area under “Cooling and Lubrication Units”.